Like stories and music and just about everything else, they’re important because of the emotional attachment we apply to them. Hey, what’s your favourite song? Have you and your husband or your girlfriend ever heard a tune on the radio and said: “Hey! That’s our song!” before being swept up in a torrent of fond memories and musings and best-forgotten dance moves? Does knowing it’s someone else favourite song or that it ‘belongs’ to a million other couples make it any less unique or special to you? Because the memories conjured by the melodies and the lyrics are yours and yours alone, and that’s what separates it from every other song out there. Terry Pratchett knew that Death was coming for him. He knew that he was in the grip of Alzheimer’s and he tackled it with the strength, nobility and humour that he lived the rest of his life by. It was just another thing. He didn’t let it define him. 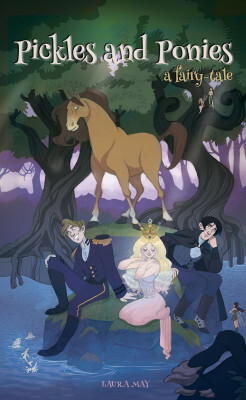 I wanted to contribute to this anthology because Sir Terry is my favourite writer. I mean, this is the man who created all my favourite characters this side of Batman! I never knew Terry but — like songs — I knew his characters in a way that no-one else could because I saw parts of myself in them (and not always the good bits). Commander Vimes, Rincewind, Granny Weatherwax, William de Worde… They may all exist in a fantasy land in some distant corner of the multiverse, but anyone who’s ever read the stories in which these characters (and hundreds more) appear will have glimpsed some facet of themselves within them, even though they were born from a single imagination. Terry Pratchett showed us the real world through a fantastical prism that made the good parts beautiful and the ugly parts seem easy to fix, more often than not making us laugh while doing so. These are just a couple of his greatest strengths as a writer, and as a human. These days I blush when she has one of her less lucid moments, looks at me and says: “You’re a fine young man. If I was your age I’d fancy you”. Cheers Gran. Even now, your words and wisdom never fail to provide an ego boost. The strength of memories also, tragically, hit my family even closer to home earlier this year. In February, my dad passed away a few weeks after suffering a stroke. He didn’t wake up after it, but he wasn’t in any pain during his last days, and I think he knew he was surrounded by family. I take comfort knowing this, and in the wealth of memories I have of him. I take comfort in knowing that I can listen to his karaoke recordings of Elvis and Billy Fury songs whenever I want (and he sang their songs better than they did). I take comfort in seeing him within the photo frames where he sits grinning at us, and in the many memories of his unflinching enthusiasm every time he bought a Lotto ticket (“We’ll win it next week, wait and see”) and a million other things. When a friend and mutual Discworld enthusiast told me about this anthology and its theme, I knew I had to write something, for myself if nothing else. I wanted to analyse why we place so much significance in memories and what that importance means in the social media age, where we constantly fret over how mega corporations use our private data yet think nothing of publicly sharing our thoughts and photos — our memories — for the world to see. Are they still important if they’re disposable? Do they carry the same weight when we scroll through a conveyor of similar thoughts and feelings from other people every day? 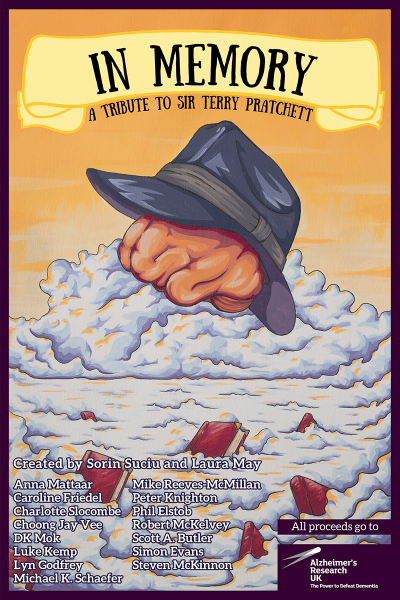 And that brings me to a close, to offer humble thanks for being included in a body of work born from the love and respect for a great writer and amazing human being — to The Vividarium, which is for my dad, my gran, and the memory of Sir Terry Pratchett, if I can be so bold to hope that they would’ve liked it. Thanks for the memories, and the stories that go with them. A really beautiful and touching piece, Steve.